They are different, they are unique, they are completely identifiable when their masterpiece has the leading role. They master the art of problem-solving, the art of materializing usefulness, the art of innovating while keeping with tradition. We did it for them, because they inspire us every day, because they know how to take care of their art like no one else, because, thanks to them, we get better every year. We want to take their love for their own work further and beyond, out into the stars. This is our wood and our tribute to them… Craftsmen. Almond aromas on banana leaves sway the sunny afternoons in August. Warm perfume of old yellows. Traditional flooring with natural sienna glints and burnt umber, with wood dreamed by luthiers, born in the European maple forests of Dalmatia and Hungary, resistant with narrow wood grain. Ideal for cozy, warm and light environments. Wine, harvest of verses and substance of thoughts; juice of the earth that paints the cheeks with purples, cherries and subtle maroons. Elegant flooring, warm, with subtle violet sparkles, with rosewood and willow knots, luxurious woods cut in the dwindling winter moons like those that cover the inner parts of violins. Taupe, dusty fog, desert smoke, an easy neutral color for the perfect basic flooring, subtle in color with a slight accent for cozy environments and traditional style lovers. Halfway between gray and brown, Taupe floorings will provide the counterpoint to purple, gold, yellow and cream fabrics. Suitable for all rooms and spaces. Ancient gray of the Viking runes, gray of millennial ashes; known as the new white, blends perfectly with both blacks and whites as daring chromatic bets. Harmonious flooring that will unite all the elements, shapes and colors. Suitable for traditional and modern environments, providing brightness, spacious sense and calm. Calm, timeless and relaxing, this flooring, metaphor of the desert, collects colors from the warm earth dust of Tunisia and Morocco, an elegant tone with natural touches. Intense neutral color used widely in decoration and clothing, this flooring will allow to renew floors without risky bets. A clear tone, light as a kiss stolen from the banks of the Euphrates river. Cream-colored flooring, natural palette of tranquility for neutral, warm and balanced environments. Perennial color with ample possibilities of combination. Fine sand of distant beaches, sun-dried limestone, nature and harmony. With daylight and night lighting, a golden reflection will emanate colouring the entire room. Flooring in fluid, sweet, natural tones of blossom honey. Tangerine oil and orange blossom fragrances from the Mediterranean fields. Color of the land, tradition and nature, suitable for any floor and environment. Mists of pine, ash and chestnut woods that will fill the whole environment with amber reflections. Black moka aroma, bitter candy flavor, which accelerates the pulse and awakens the sleeping mind, black as night, coffee that accompanies poems, literature and terraces with lost loves. 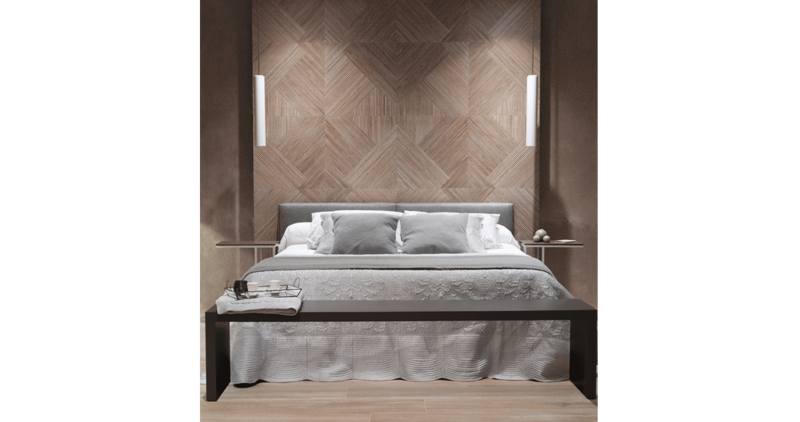 Daring flooring that transmits to the room security, sensitivity and exoticism. Cozy tone suitable for large spaces, comforting and with an exotic touch that appreciates the light. Night throws her mantle, erasing objects and paths, leaving peace and calm. This dark-colored flooring transmits modernity, elegance and personality. Strong light absorber, suitable for large and really bright environments. Mixed with white, it will get a Zen look that will give modernity and distinction to the room. Classical, neutral but deep-colored flooring, very useful for solving transitions from light to dark decors or lowering the intensity of an overly-colorful room. Sophisticated and relaxed environment that can go from the Amazon jungle to the Fjords just by merging colors. Ideal for large spaces with lots of light for day-to-day life. 5 o’clock in the afternoon, tea time. It is a moment of tranquility, of company shared between sips. Flooring of brown tones, flowery aromas and ambers from flowery mountain honey. Ocres, earths and natural siennas, toasted tones will color this warm, traditional flooring, suitable for multiple ranges of colors, for quiet rooms used daily.